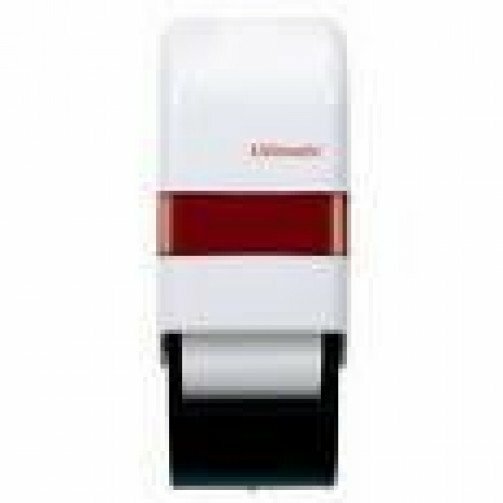 The Lotus Ultimatic toilet roll dispenser is ideal for heavy duty and sustained use by large numbers of visitors in washroom areas. This elegant, uniquely designed dispenser is made from hardwearing ABS plastic which provides protection against mistreatment and vandalism. The dispenser is fixed to the wall from the inside (fixing kit supplied) and the front cover of this unit is hinged at the bottom to allow easy replenishing of the Ultimatic toilet rolls used with this dispenser. It’s lockable at the top and holds two Ultimatic toilet rolls, that have 800 sheets per roll.